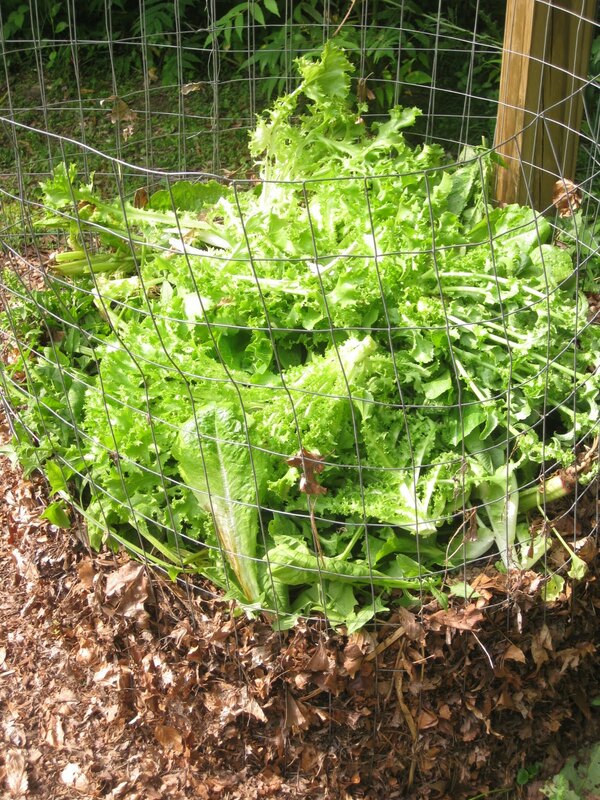 All during summer, I toss bolted lettuce, spinach, and other green matter into the bins, which are located, for the sake of convenience, at each end of my Kitchen Garden. This saves me the time and trouble of hauling debris to some out-of-the-way compost heap. To hasten decay, brown matter is sprinkled on top of each layer of green. Brown material includes chopped straw, dried leaves, or the shredded wood chips pictured above. When provided with steady moisture, this nitrogen-and-carbon mixture heats up rapidly, and turns waste into usable soil in a matter of weeks, not months. I use the finished product for topping off my raised veggie beds in the fall. Turning the compost is a cinch. Simply lift the bin off, move it a few feet to the side, and then fork the contents back in. This inverts the various components, so that new material goes on the bottom. 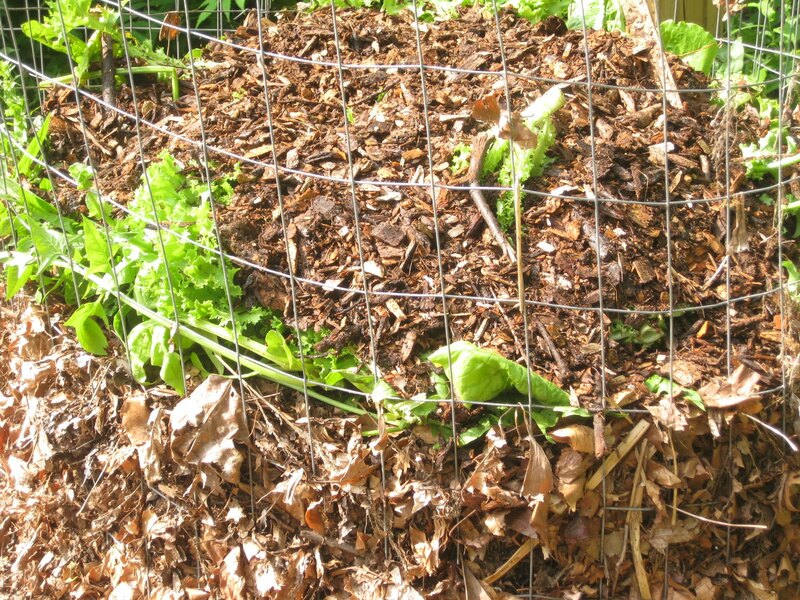 My compost gets turned twice monthly (if I’m feeling energetic). 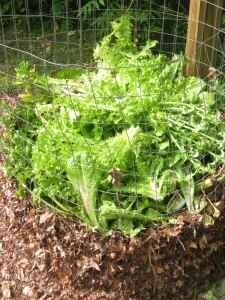 Almost anyone can make a 4-foot tall, 3-foot diameter composting bin like mine. Obtain from the hardware store a 9-foot x 4-foot piece of 3-inch galvanized wire mesh, secure the ends with twist-ties, and Voila! you’re done. Does your bin attract spiders??? My black plastic Biostack composting box sure does! I hardly ever use it for all the arachnids! This is great! I've looked at composters and they always seem to cost hundreds of dollars. Phoebe – Based on my own experience with a biostack, it seems spiders are drawn to the dark and dank interior. On the contrary, my wire-mesh bins do not attract spiders. They do, however, attract a great many worms and other crawlers that turn waste into rich, usable humus. Dan – not only are most composters hideously expensive, they are way too small for the average garden. Because wire-mesh bins are inexpensive and easy to make, you can have as many as your property requires. I'm adding two more to my Kitchen Garden in the fall. Kevin, I've been looking at compost bins, all of them plastic, some on frames that let you turn them. They are all beyond my price range. Great to know I don't need to go into debt in order to compost. Love the wire mesh idea. I get wooden pallets free from a place that sells tile and make compost bins with those. I just drive in a few metal fence posts and then wire the pallets to them to create a “fence”. One of the pallets is used like a gate to open and make turning the pile or retrieving the compost easy. I have three bins together and it makes turning easy from one to the next. I have composted for years and this is the best way to have temporary bins that I have found. When the bins start to deteriorate I remove them and build a new set of bins in a different location in the garden. The old compost location becomes a super fertile planting bed. If anyone wants photos let me know and I will post some. An awesome idea and now on my “To Do List”. Thank you! I have 2 large oak trees and have been told not to use the leaves for compost, because they are acidic. Is this true? Linda – It is true that oak leaves are acidic. However, it is not true that you should not use them for compost — especially if you are mixing them with other bits of organic matter. 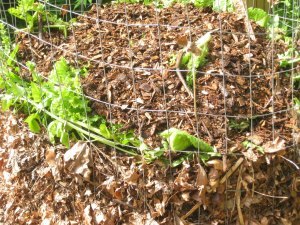 I use shredded oak, maple, and myriad other leaves to mulch my rose beds; this same leafy mixture is used to top off my veggie beds in autumn. So go ahead and compost your oak leaves. Shred them first, and they’ll decompose much, much faster. I love this idea! But I am terrified of snakes and worry if this might draw them? Have you ever had an issue with snakes in your compost pile? 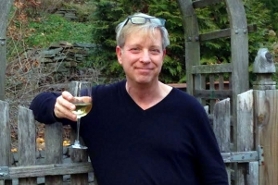 PS… Love your site — a new discovery a friend recommended as I am buying an old house in Northern Dutchess county — home & garden — expect your site will be my new “bible”. Thank you in advance! Wish me luck. 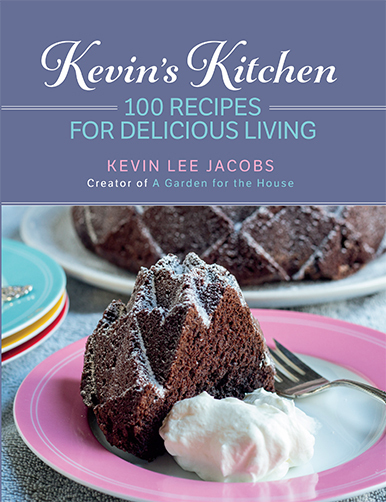 Hi, Kevin, I finally retired the beginning of July and moved home after being overseas for many years. Am now browsing all the bookmarked pages from your site to get our garden going. Could you please let me know if smaller mesh holes work. We were unable to find any 3″ mesh so my son bought .5″. I plan to try it, but am curious if there’s a reason for the larger size you use. Have been following your site for over a year. Thanks very much for all the time and effort you put into the many different topics. Hi Peggy- Yes, smaller mesh openings will work. Happy composting! WHAT WILL HAPPEN WHEN IT RAINS. WONT THE WHOLE PILE GET DRENCHED. Hi Karuna – Yes, and that’s a GOOD thing!